It’s that time again. Nominations are now open for AlleyWatch’s 2019 NYC Tech Influencers feature. Know someone amazing who belongs on this list? Nominate them today here. Nominations open until 12/15. Looking to drive targeted response from the NYC Tech community at scale? Learn more about partnering with AlleyWatch on this initiative here. A common chronic condition that an increasing number of males suffer from is hair loss with 66% of men suffering from visible hair loss by the age of 35. Despite the large market, there has been a lack of modern-day solutions that tackle the myriad of chronic conditions like baldness that are plaguing millions within the population. Thirty Madison is expanding to fill these gaps by building an end-to-end direct-to-consumer healthcare brand that offers treatment, diagnosis, and ongoing management of a variety of conditions. Thirty Madison’s first proprietary brand Keeps launched earlier this year and is scaling fast. Their second brand Cove will launch later this year to provide a personalized solution for migraine headaches. Recently, there’s a growing pattern of, and investment in, startups forming digital holding companies to operate several direct-to-consumer healthcare brands. Ro, the company behind erectile dysfunction treatment service Roman, just raised $88M to scale and to introduce a new smoking cessation solution called Zero. 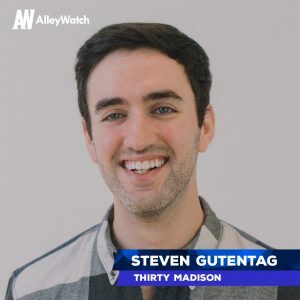 AlleyWatch spoke with Steven Gutentag, cofounder of Thirty Madison, about how Thirty Madison continues to build Keeps, the future expansion plans into new markets and verticals, and the company’s most recent funding round. 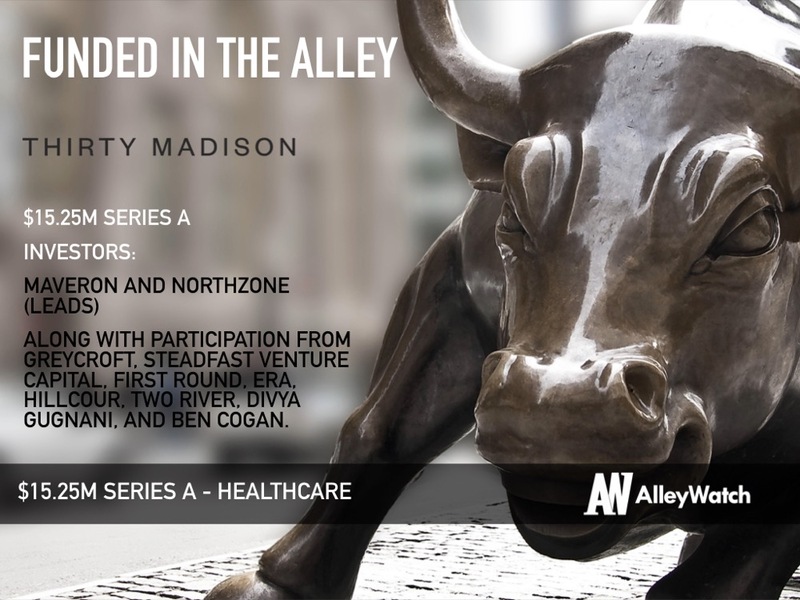 Thirty Madison raised a $15.25M Series A funding round co-led by Maveron and Northzone with participation from Greycroft, Steadfast Venture Capital, First Round, ERA, HillCour, and Two River. Additional investors include Divya Gugnani, cofounder of Wander Beauty, and Ben Cogan, cofounder & co-CEO of Hubble Contacts, as well as several other prominent individuals from the consumer and healthcare spaces. This brings the company’s total funding to $22.75M, which includes capital from early investors, including Imaginary Ventures, and several individuals from the entrepreneur and design community. Tell us about the product or service that Thirty Madison offers. Thirty Madison is rebuilding the healthcare experience for the modern consumer. We build distinct healthcare brands that help people treat and manage chronic conditions. Each brand offers an end-to-end solution for consumers that combines diagnosis, affordable treatment, and ongoing condition management to help customers better manage their chronic health condition. Thirty Madison’s first brand is Keeps, the only service that offers a comprehensive solution focused on male pattern baldness. With this investment, Thirty Madison will also later this year launch Cove, a direct-to-consumer healthcare company that will offer personalized, affordable treatment solutions for migraine sufferers. What inspired you to start Thirty Madison? 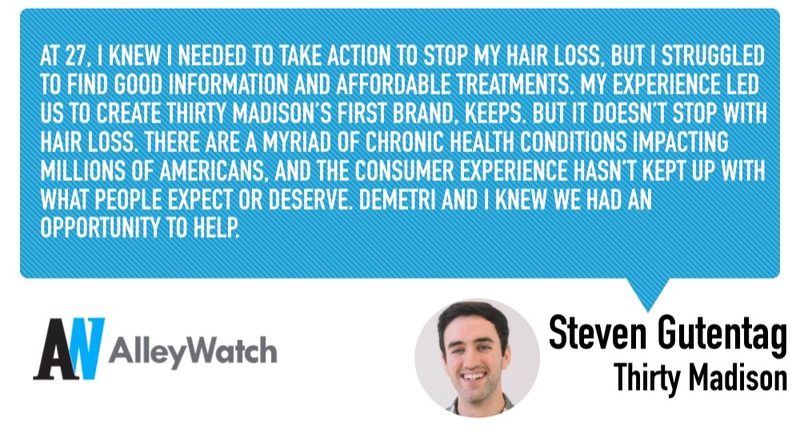 I was inspired to start Thirty Madison with my cofounder Demetri Karagas when we realized first-hand a lack of access to high-quality care, resources and education, and affordable treatment around a very common chronic condition: hair loss. At 27, I knew I needed to take action to stop my hair loss, but I struggled to find good information and affordable treatments. My experience led us to create Thirty Madison’s first brand, Keeps. But it doesn’t stop with hair loss. There are a myriad of chronic health conditions impacting millions of Americans, and the consumer experience hasn’t kept up with what people expect or deserve. Demetri and I knew we had an opportunity to help. How is Thirty Madison different? Thirty Madison focuses solely on chronic conditions. We are building brands that are one-stop destinations for consumers who want effective treatment in a convenient, efficient, and affordable way. We go deep on single conditions to ensure that our customers have everything they need to best manage their condition — ongoing access to high-quality physician care, backed-by-science education, affordable FDA-approved treatments, smart digital tools, and more. How has the business changed and what progress have you made since we last spoke in January, shortly after your launch? Keeps has grown 60% month-over-month in the nine months since launch in January 2018, and we have tens of thousands of patients actively using Keeps. Our retention rates are more than double than that of leading brands employing a traditional model. The convenience of being direct-to-consumer enables us to build a brand and offering that resonates across the country, reaching customers who may not have had access to specialists or general practitioners with experience specifically around hair loss. We estimate that we’ve already helped save our customers more than $10M on annual hair loss treatments. And we prioritize high-quality care in the process: our physicians and customer care team have spent more than one million minutes supporting our customers since launch. 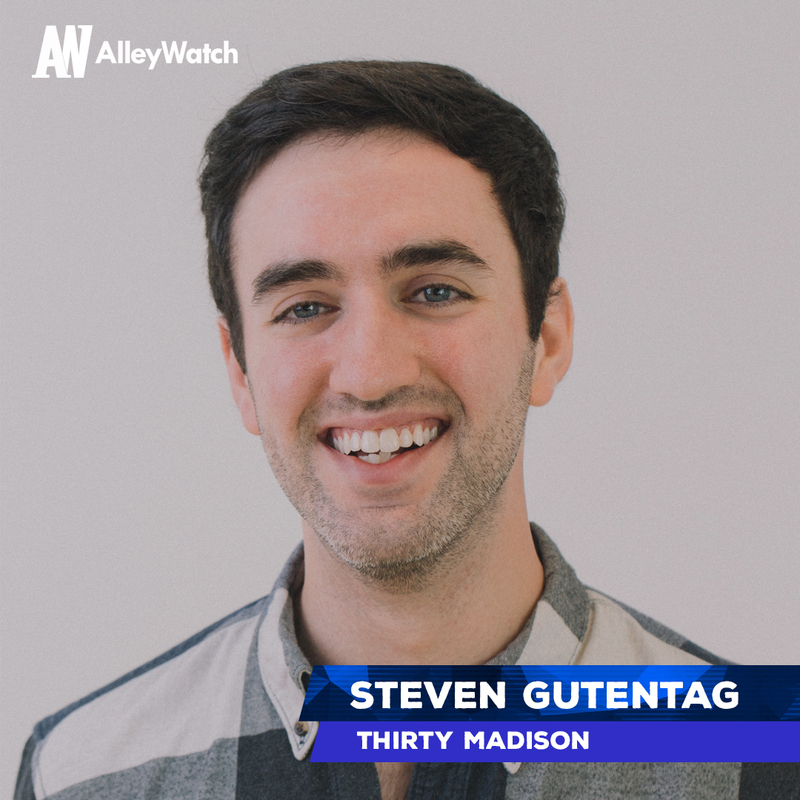 What market does Thirty Madison target and how big is it? Thirty Madison is building a next-generation healthcare company, focused on supporting consumers living with chronic conditions. Keeps is focused on hair loss: 2 out of 3 guys will start to lose their hair by 35. Cove is focused on migraines: nearly 1 in 7 people suffer from migraines. Zooming out, nearly 150M Americans live with at least one chronic condition. There’s a lot of work to do here. We utilize a direct to consumer business model. We quickly connect consumers to knowledgeable, licensed physicians for an online consult, using diagnostic frameworks developed by industry-leading experts. Then, by cutting out the unnecessary middlemen that exist in pharma, Thirty Madison’s brands are able to provide FDA-approved treatments to consumers at a fraction of the price charged at your local pharmacies. We are lucky to have partnered with a group of investors in our seed round who believe deeply in our mission and we’re excited to continue supporting us through this Series A. That said, it was also important for us to bring on new investors with different areas of expertise, particularly around health care and scaling consumer brands. It was great to know our existing investors wanted to participate in a material way, which always makes it easier when starting conversations with potential new investors. We’re thrilled with the team we compiled: a world-class roster of consumer and healthcare expertise. This was the first fundraise where we were live in-market. As a result, we had to continue to operate and grow the Keeps business while taking time to go out and fundraise. With a fast-growing business, a lean team, and planning ahead for a new brand and condition, it was a big challenge to balance both fundraising and the business needs. Fortunately, our team stepped up, which allowed Demetri and I to spend more time on the fundraise while knowing that the business was in good hands. A common link between all of our investors is that they are excited to back iconic brands that have a meaningful impact on a massive number of people. I think they were able to see how truly massive the opportunity we’re tackling is -rebuilding healthcare for the modern consumer is no small feat- and they share our passion for building a great company to execute on that vision. That, combined with the tremendous progress that we’ve shown on Keeps to date, led our investors to back us. We are laser-focused on continuing to grow Keeps, with a concentration on investing in the products and tools that will improve the customer care experience. We’re very excited to launch Cove, which will provide direct access to high-quality, affordable migraine care, personalized to migraine sufferers and their unique needs. We’ll also continue to hire and scale a world-class team at Thirty Madison. You never know how long a fundraise process might take, so it’s always good to practice operating discipline — build buffers and contingencies into your budget, ensure you have plenty of runway, don’t spend frivolously during the process, and more. You also obviously want to continue to grow the business — especially during a fundraise — but, whenever possible, try to do so efficiently. It’s good to be scrappy! We’re deeply excited to continue to build and grow Keeps and launch Cove. Expanding access to high-quality, affordable health care is something we’re deeply passionate about and excited to continue executing on. I recently moved out of Williamsburg (RIP L Train), but when I did, my favorite spot to go to was 1 or 8. Such good Japanese food and sushi!